Infertility is a common problem in the U.S., with increasing numbers of women and men seeking help from artificial reproductive techniques (ART), such as IVF. 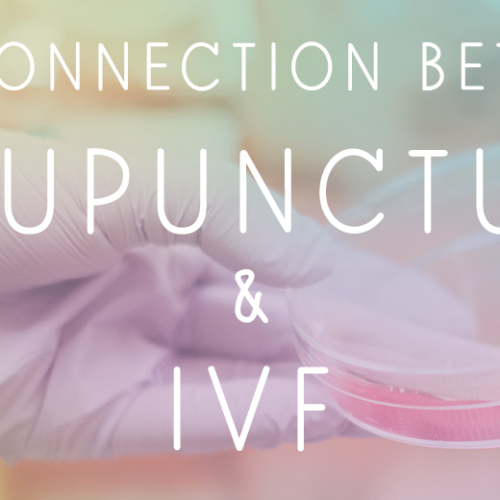 As a specialized fertility acupuncture specialist in Boulder, we receive referrals from many of the top reproductive endocrinologists and OB/GYN’s in Colorado. We work in conjunction with your physician and Western medical diagnosis, and we may request certain labs and/or medical evaluation to further inform us of your case, ensuring that you receive the most comprehensive care possible. Your fertility treatment is then tailored individually, based on your TCM and Western diagnoses, with acupuncture and Chinese herbs often performed in combination for maximum efficacy. Any Western medical treatment that you are receiving, including pharmaceutical therapy, is supported and integrated into your TCM treatment. We offer fertility Acupuncture at both our Boulder and Longmont, Colorado locations. Sometimes, simple regulation of the menstrual cycle and stress reduction can aid conception, both of which can be successfully addressed with Chinese medicine. However, in more complicated cases, such as infertility due to diminished ovarian reserve or poor uterine blood flow, Chinese medicine can be an asset to Western treatments. The use of acupuncture and Chinese herbs in conjunction with ART has been widely studied in medical research, with many studies reporting an increase in conception and live birth rates. In some cases of infertility, it is ideal to begin treatment with Acupuncture and Chinese medicine 3-6 months prior to attempting to conceive. This is because the process of folliculogenesis (the maturation process of an antral follicle) takes 4-5 months. In Chinese medicine, improving ovarian reserve requires action at the level of the antral follicles. In other cases of infertility, a minimum of 3 months is recommended to optimize fertility potential, though regulation of the menstrual cycle can increase chances for conception in as little as one cycle. Fertility Acupuncture treatments vary according to the menstrual cycle and/or the timing of ART procedures. Therefore, each treatment plan is highly individualized. We work with each patient to design a plan that is as effective as possible while also considering factors such as scheduling and budget constraints. At Well Woman Acupuncture, you can trust that you are in the hands of skilled acupuncturists who can determine the best course of treatment to optimize your fertility goals. We are the only NCCAOM & ABORM board certified Acupuncture Clinic in Boulder.